ATS’ COO Peter Mueller was asked to present at the KTA-TTA Fall Conference on the topic of Big Data Analytics for Rural ILECs. Peter covers topics ranging from how to get started with cloud storage to how carriers can user their data to increase revenue and improve service levels. 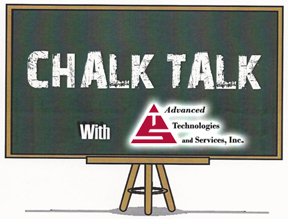 In this episode of Chalk Talk, In this episode of ATS Chalk Talk, COO Peter Mueller looks at the technical and economic rationale for having carriers embrace the public cloud. A brief explanation of MapReduce and Amazon Web Services are presented from the vantage point of sifting through Call Detail Records (CDRs). In this episode of ATS Chalk Talk, Ken Babcock, VP of Regulatory Services, discusses the FCC’s recent order on Rural Call Completion (FCC 13-135). The interview covers areas such as: What is the FCC’s interest in Rural Call Completion? What are the “dire consequences” the FCC speaks of? How did we get here? What Industry sub-groups have studied this? Who is subject to this “docket”?